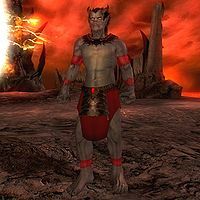 Xivilai are highly intelligent Daedra that look like tall and muscular gray-skinned warriors. They are similar in many ways to the Dremora, but are not known to have a caste system. They are often in the service of Mehrunes Dagon and Molag Bal. They often wield two-handed weapons and cast a wide variety of spells, including one to summon lesser Daedra. 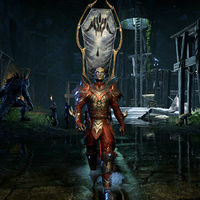 Xivkyn are powerful humanoid Daedra created by Molag Bal. They are a fusion of Dremora ("Kyn") and Xivilai, and are the result of Bal's experiments with vestigial hybridization in the Vile Laboratory. They were in charge of the Daedric occupation of the Imperial City in 2E 582.